Going to combat the recent exotic heaviness with something a bit more Japanese and attainable. 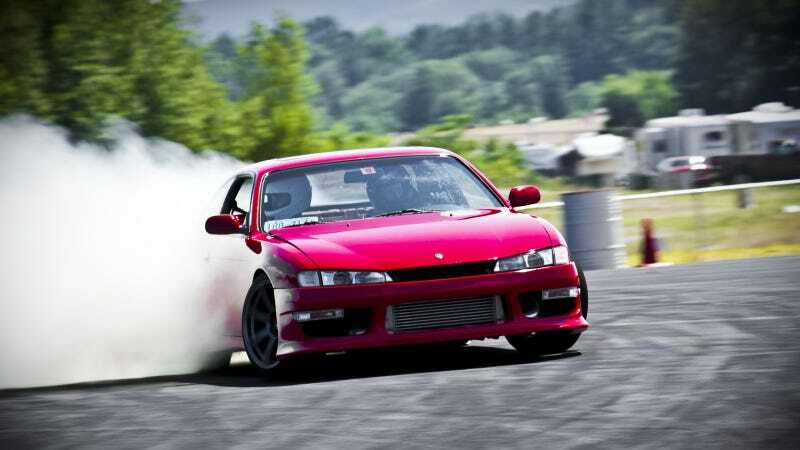 The Nissan 240 SX is one of the more popular drift machines because of its sturdiness, cheap and light RWD platform, and the ease of the SR20DET swap. Peter Iannaco snapped this excellent wallpaper of a 1997 Nissan 240 SX Kouki in fairly mint condition at the Freedom Drift event last weekend in New Hampshire.